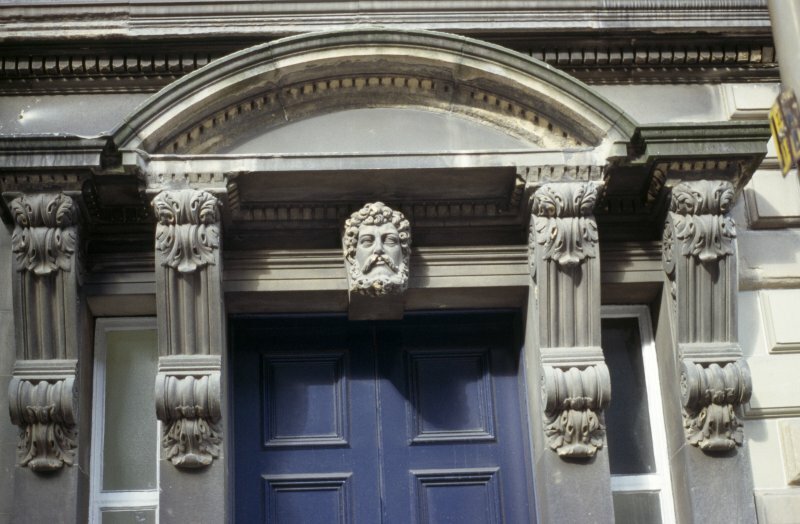 View of keystone head, above door of No.16 Chambers Street. Keystone head above door is a curly headed, bearded youthful man's head looking outwards (south) between double consoles of tympanum. The other, smaller heads above the first floor windows are all bearded and curly headed, but each one is different.